With customizable DSP and 800 watts of clean power (600W for low frequencies; 200W for highs), Dayton Audio's PPA800DSP is perfect for building your own powered PA speakers or even retrofitting existing passive speakers. 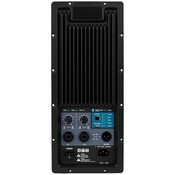 With the ability to set crossover frequency, parametric EQ, and delay for each channel the possibilities are endless. 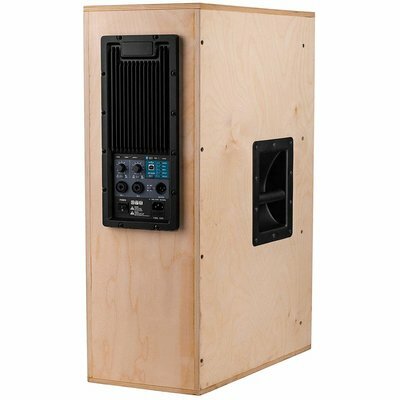 In addition, the 4 additional programmable EQ presets and Bluetooth input gives this amplifier all of the features you would expect from todays powered PA speakers. 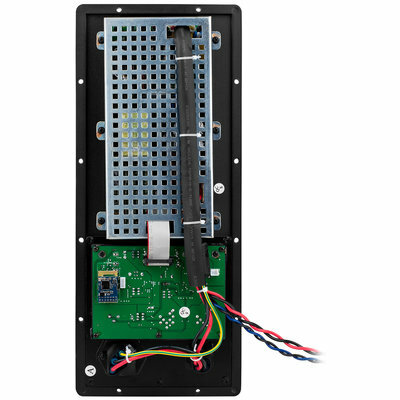 Dayton Audio's PPA800DSP plate amplifier produces 800 watts of power split between 2-channels (600W for low frequencies; 200W for highs) with simple adjustable DSP making it an excellent amplifier for building custom, high-output, active 2-way speaker designs. Thanks to the compact size, this amplifier is also a great choice for retrofitting existing passive designs. 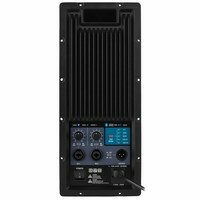 Perfect for DJs, karaoke, live sound reinforcement, performers and presenters alike, the PPA800DSP provides not only plenty of good, clean power, but an abundance of additional features to make sure your show goes off without a hitch, and with a minimum of effort or additional hardware to lug around. 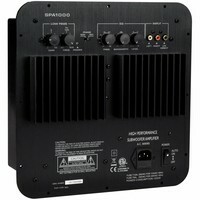 The true highlight of the PPA800DSP is the built in customizable DSP. 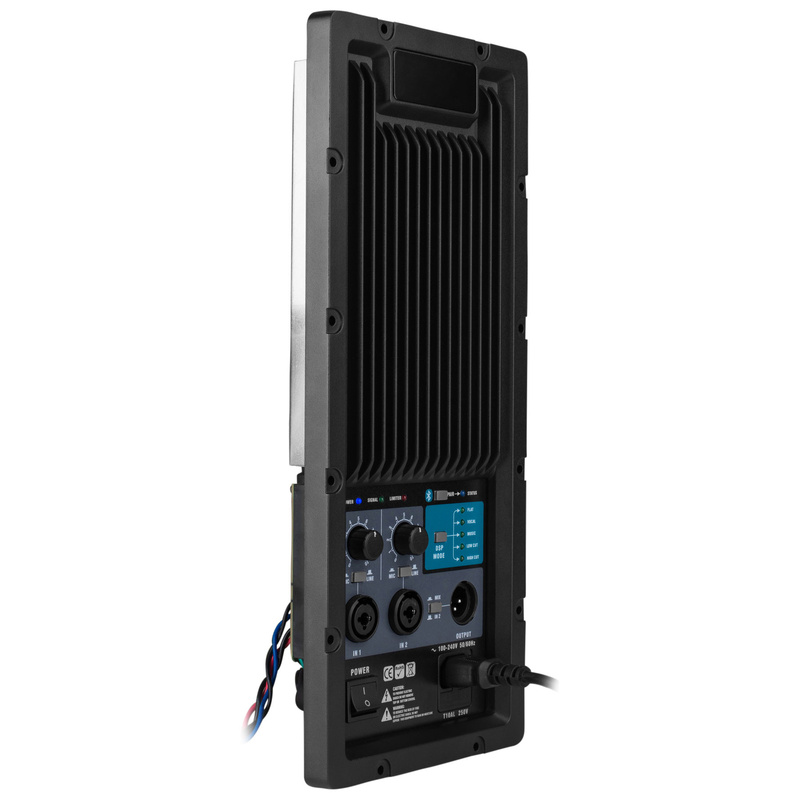 Using the simple Windows interface you are able to set specific levels, high and low pass filters, parametric EQ's, limiter, and delays for each output. 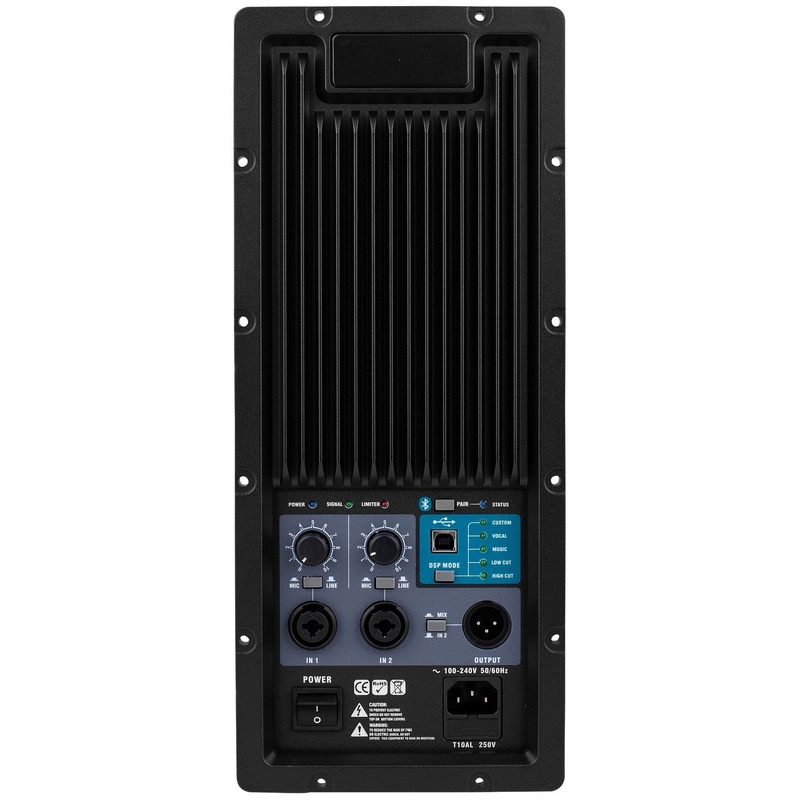 This gives you the ability to customize the response of this amplifier to almost any 2-way design and even set presets for specific situations. You'll also enjoy the luxury of having a 2-channel mixer on board, which means one less piece of rig to schlep for many situations. 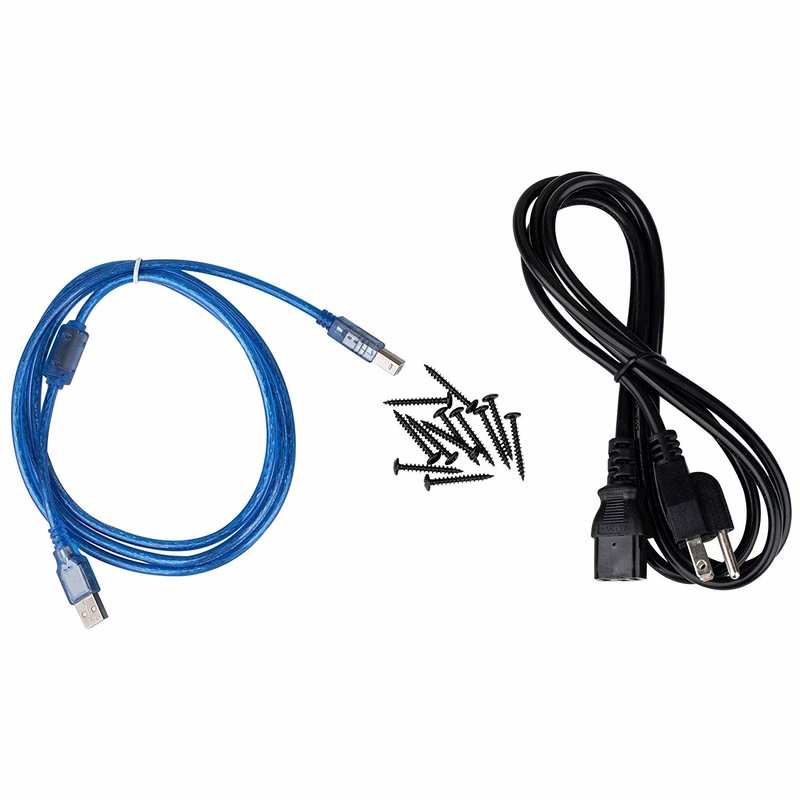 Each channel can accommodate XLR or 1/4" input, line or mic level signal. 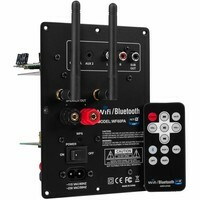 In addition to this creature comfort, you also get a Bluetooth receiver, so you can play backing tracks, break music, or whatever you need - without wires, adapters, and all the associated hassle - right from your smart phone, tablet, or other Bluetooth-enabled device. 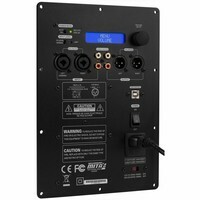 The mixer section also includes an XLR line output so you can feed your signal to another powered speaker or subwoofer. You can choose to send your mix or only the signal from channel 2, on down the line. 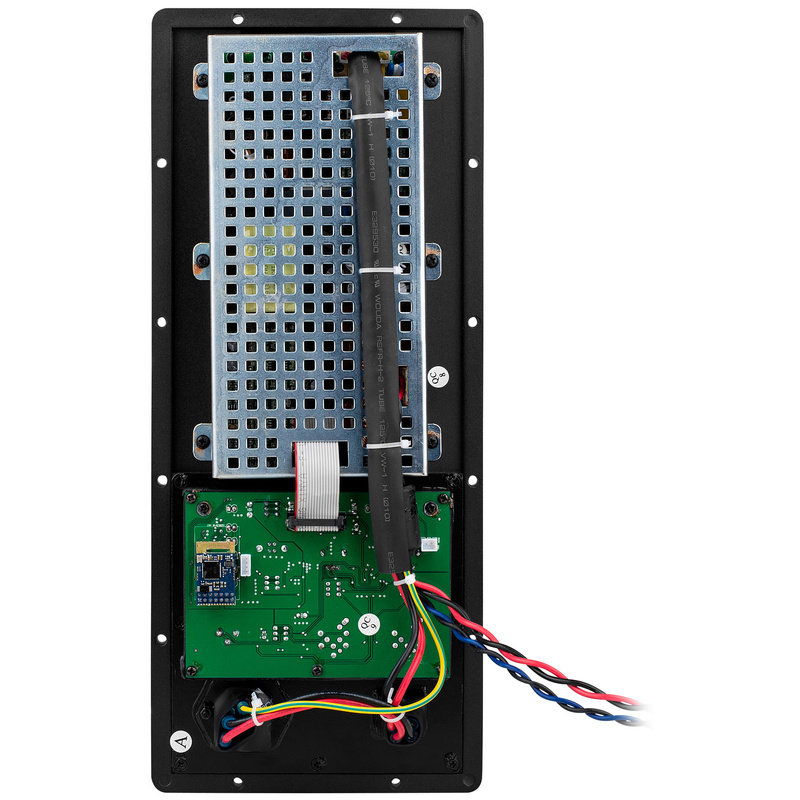 The mixer section is also home for all the LED indicators: power, signal, limiting, and Bluetooth status - everything you need to know, all at a glance.